Kateri Chappell and Magnus Buerman on September 16, 2017. 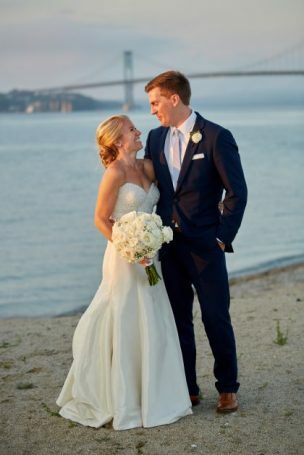 After meeting at the gym, becoming best friends and dating for four years, Magnus Buerman, from Rochester, New York popped the question unexpectedly on Superbowl Sunday to Kateri Chappell, Portsmouth, Rhode Island native. “Tom Brady and I both got rings that day!” says Kateri about Max’s getting down on one knee on Ocean Drive on a normal Sunday morning after spin class. 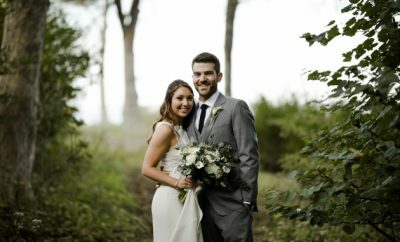 The couple planned an autumn wedding at St. Barnabas Church in Portsmouth followed by a reception at the Newport Beach Club. 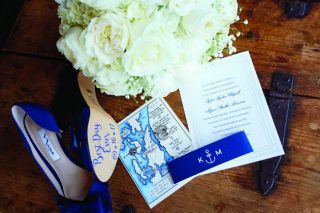 With a 4th of July and summer-inspired theme, the wedding celebration boated the newlyweds’ love for Independence Day. 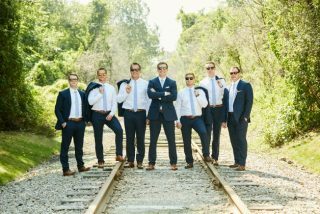 The navy and white color scheme appeared in the bridal party’s navy ensemble to the end of the night sing along to God Bless America. 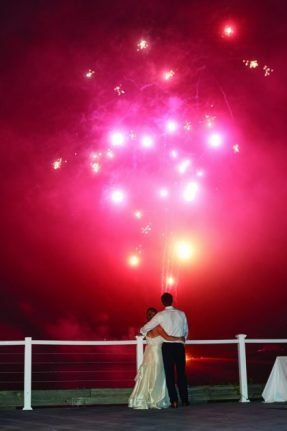 The night culminated in a fireworks display that even surprised the bride! 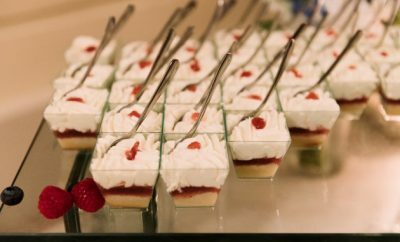 The 215 guests enjoyed a variety of Ocean State-inspired desserts such as Del’s Lemonade macaroons, Newport Creamery Awful Awful shooters, Dark and Stormy cookies and Rhode Island Red whoopie pies. 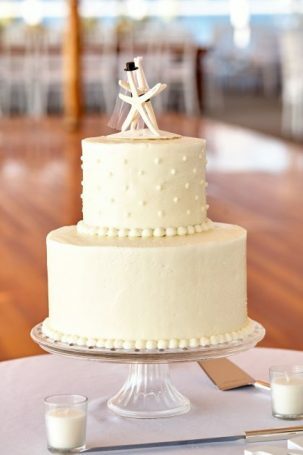 They also served “his and hers favorites” as signature desserts: Max’s favorite was a chocolate chip cookie from Wegmans in New York, and Kateri favored a s’mores cupcake in honor of her favorite holiday, the 4th of July. 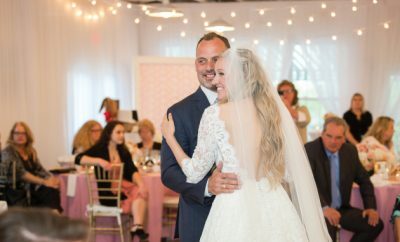 The couple now lives in Providence where Kateri works as a nurse and is attending UMass Amherst for her master’s degree in clinical nurse leadership and education, while Max is getting his MBA at Boston University. The couple put off their honeymoon until this March, when they will enjoy a South African interlude.